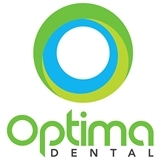 Optima Dental (Portland) - Book Appointment Online! Portland dentist, Dr. Saleh earned his Doctorate in Dental Medicine from Southern Illinois University’s School of Dental Medicine in 1998. He has since established two state of the art practices; one in Lake Oswego and one in the Pearl District in Portland. These practices focus on implants, sedation and cosmetic dentistry. Over the years, Dr. Saleh’s genuine commitment to patient care, advanced learning and the integration of the latest in technological developments into his dental practice has earned him the high level of admiration by both patients and colleagues. He has trained numerous dentists in the areas of implant and sedation dentistry and actively mentors many others. Dr. Saleh has been credited to be among the first to bring Metal Free Dental Implant technology into the United States and the first to do so in Oregon.